Most who know me would tell you that I take great care to ensure that I am getting the maximum nourishment from what I put into my body. I agree that I make incredibly conscious choices most of the time about what I eat/ingest. A recent experience on my road trip adventure allowed me to see that we can always improve. Sometimes we delude ourselves into thinking that we are making great choices; that we are eating ‘healthy’ or are well nourished. When a young friend asked if he could feed me…typically an offer I would deny considering how particular I am with food…my intuition immediately said yes with out any need for disclaimers. For the next few days, he proceeded to fill me with pure food alchemy. Food as medicine – plucking fresh greens from our hikes and rolling them up in nori rolls along with many super foods. Some of these super foods I had heard of like moringa (moringaforlife.com); mesquite, maca and lucuma powder, and sea vegetables (sunfood.com); and many others I had not heard of like Chinese herbal concoctions Morning Jing, 3Jewels, Gynostemma, and Reishi (shamanshackherbs.com). Plant medicine is no new science. Humans have probably been using it for as long as we have been in existence to aid and support a staggering array of conditions, in addition to using it to fortify the body, to make a healthy body even healthier. This is the experience I personally had. Energy, clarity, and the ease of functioning of my digestive system all improved, along with vastly heightened sensitivity and intuition. What you put into your body, through food, your surrounding environment, as well as the people you fill it with, either dulls your senses, weighs you down and negates your connection to divine source light, or awakens you and facilitates energy and a deepening of connection to this flow. Don’t take my word for it! The next time you stop for fast food, or pop that microwave dinner into your tummy, notice how you feel, versus when you eat real food that has not been blasted with radiation or processed in some other unnatural way. All it takes is 2 seconds of self-awareness, not some double blind, placebo-controlled study, to figure out what works for you once you start to pay attention. Or the next time you around a particularly challenging colleague or friend, check in with how your energy levels are before, during and after. Do you suddenly have tension in your body that was not present before, feel tired or heavy? After a week of being so high off ‘food medicine’ and love, I realize that there is no need for alcohol or other recreational substances to attain this state. I also see more clearly how people make other choices, which numb their senses, dulling the ability to feel, sense, and stay open. Many have not built a foundation solid enough to process this magnitude of feeling & flow on a day-to-day, moment-to moment basis. If we have not gradually conditioned ourselves to operate at this level of frequency, we could get overwhelmed and ‘short circuit’. Basically, if you have ever fried your electronics by plugging into the European circuits, you have experienced what I am talking about. So take it a step at a time, gradually fortifying your body and you will be able to accommodate higher and higher levels of operating. If you want to learn more about our bodies electrical potential read, “The Body Electric” by Robert Becker. I am certainly not saying that everyone should make the change to eating 100% raw, living, super foods. Yet we can all take one step in the direction of choosing something that will better support our systems; something that will facilitate and provide fuel for bodies and minds, for our deep seeded passions to be expressed. Supporting you in this process happens to be my passion and service to this world. What is yours? This experience also made it even more evident to me that it is impossible to do it all with food, even if you are eating the very best. We need support, spiritual nourishment, SOUL FOOD. For me that looks like connecting with others with similar values and interests; time with dear friends and family; creating a community of healers, wise souls, and stewards for change; being in nature; creating space for self-love every day; discovering ways to drop deeper into divine flow; and of course, dancing, dancing, dancing! What feeds your soul? What nourishes you? on a physical level? emotional level? mental level? spiritual level? intuitive level? What are you passionate about? What gets you motivated in the morning to get out of bed? 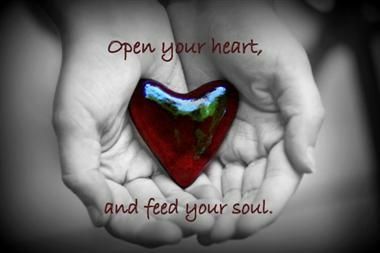 What feeds your Soul? Feel free to share with me in the comments below. Or set up a time for us to chat by clicking here, I’d love to hear from you.